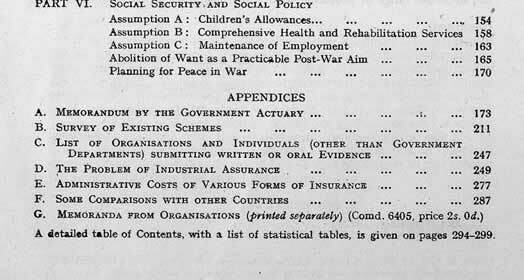 The Beveridge Report was a dense and lengthy document, as can be seen from its contents page. Nevertheless, when it was published, in the middle of the Second World War, it caught the public's imagination - it gave people hope of a better life after the war. The report was to provide the basis of the Labour government's postwar welfare legislation.